2015 Sexually transmitted diseases treatment guidelines. Centers for Disease Control and Prevention website. Available at: http://www.cdc.gov/std/tg2015/default.htm. Updated June 4, 2015. Accessed December 11, 2017. Bacterial vaginosis. Centers for Disease Control and Prevention website. Available at: http://www.cdc.gov/std/BV/STDFact-Bacterial-Vaginosis.htm. Updated February 16, 2017. Accessed December 11, 2017. Bacterial vaginosis. 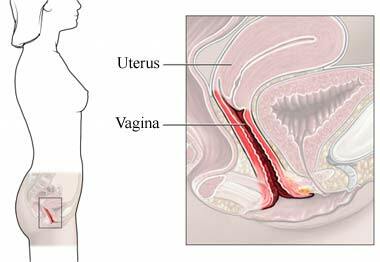 Women's Health—US Department of Health and Human Services website. Available at: http://womenshealth.gov/publications/our-publications/fact-sheet/bacterial-vaginosis.html. Updated April 18, 2017. Accessed December 11, 2017. Bacterial vaginosis (BV). EBSCO DynaMed Plus website. Available at: http://www.dynamed.com/topics/dmp~AN~T115494/Bacterial-vaginosis-BV . Updated September 26, 2017. Accessed December 11, 2017. 7/7/2014 DynaMed Plus Systematic Literature Surveillance http://www.dynamed.com/topics/dmp~AN~T115494/Bacterial-vaginosis-BV : Qaseem A, Humphrey LL, Harris R, et al. Screening pelvic examination in adult women: a clinical practice guideline from the American College of Physicians. Ann Intern Med. 2014;161(1):67-72.